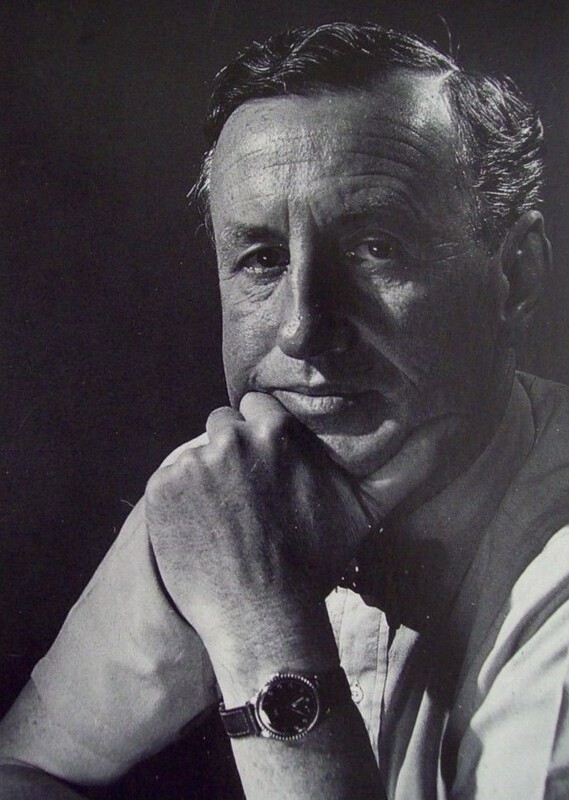 Ian Fleming wrote his highly romanticized James Bond thrillers unabashedly for pleasure - his own and the reading public's. The novels contained some fantastic elements, yet Fleming said there was a thin line between fact and his fiction. "Everything I write has a precedent in truth," Fleming said. 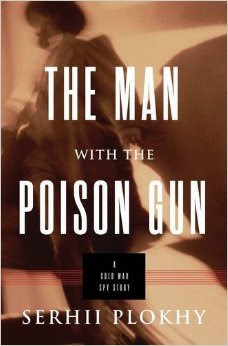 A case in point is the story of the poison gun used by Fleming in his last Bond novel, The Man With the Golden Gun, and the true story of the KGB assassin Bogdan Stashinsky, who used a poison gun to murder two men during the Cold War. Lewis Jones at the British newspaper the Telegraph offers a review of Serhii Plokhy's book on Stashinsky, The Man With the Poison Gun. The title of Serhii Plokhy’s new book echoes that of Ian Fleming’s last and feeblest James Bond novel, The Man with the Golden Gun, published posthumously in 1965. Fleming’s story opens with Bond, presumed dead after his last duel with Blofeld, turning up in London, brainwashed by the KGB to assassinate M with a “curious sort of contraption” that shoots a poisonous liquid. Plokhy points out that, before Bond tries to kill him, M mentions the recent murders of “Horcher and Stutz” in Munich. Fleming must have had in mind the 1962 trial of Bogdan Stashinsky, a KGB assassin, for the murders in Munich of two of his fellow Ukrainians – Lev Rebet, a journalist, and Stepan Bandera, the leader of the nationalist underground – with just such a device. The man with the golden gun was Francisco Scaramanga, who grew up in a Catalan travelling circus, as the mahout of Max the elephant. When Max went berserk in Italy, the carabinieri killed him with such upsetting brutality that Scaramanga ran away from the circus to become a paranoiac fetishist and the world’s most feared assassin. The subject of The Man with the Poison Gun is a more prosaic figure – his career began with dodging a train fare – but really a more interesting one. Plokhy writes rather badly, and tells us that M’s “true name remains a secret to us”, which does not inspire confidence when Bond himself names him as Admiral Sir Miles Messervy. But as a professor of Ukrainian history at Harvard, Plokhy knows his stuff, and his account of Bogdan Stashinsky’s life brims with skulduggery. Note to Lewis Jones: As for The Man With the Golden Gun being Ian Fleming's "feeblest" thriller, the author died in 1964 before he could polish the novel. Yet it is still a very good thriller, better than most.